Just when you thought number five couldn't be more off-putting... lo, it has been made flesh. Well, plastic, anyway. LOL. 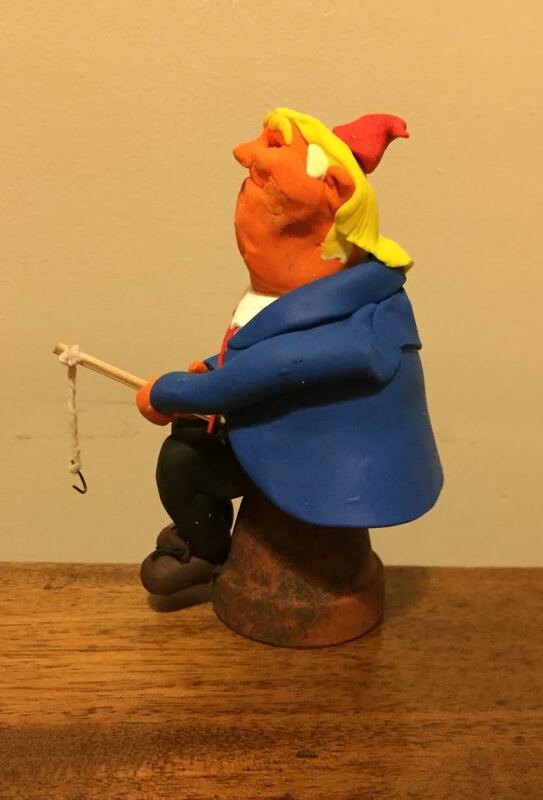 You've already got him fishing for something -- a compliment perhaps? You've given me a good laugh today, John. 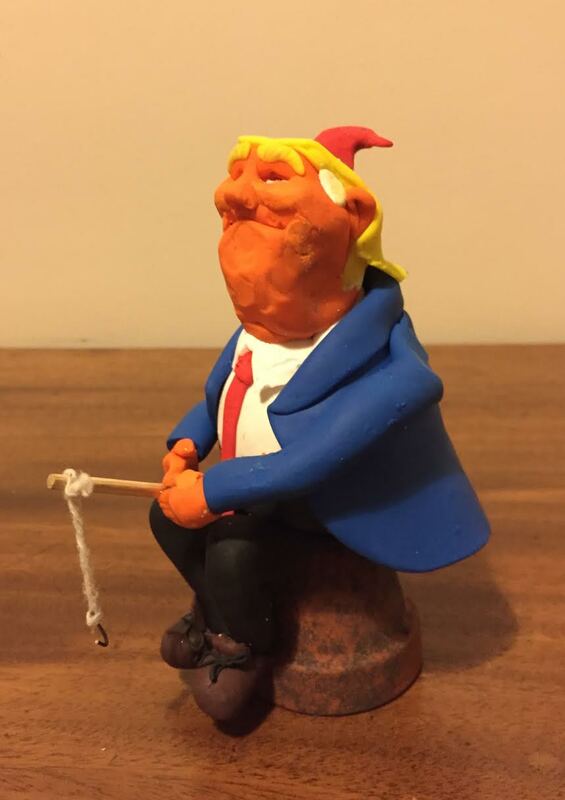 Gnome-ald Trump, coming soon to a garden centre near you. In other news, BBC Radio 4 Extra have repeated Zurich again. That's, you know, great, but do you know why they're running Zurich rather than playing the whole A-Z which would be, you know, better? Please please please, have pity on us. MILLIONS did NOT vote for.... Not kidding. Spent the day after the election with a blanket wrapped around me. Literally. I still haven't watched more than 3 minutes of news from any outlet. Just finished listening to Zurich again on the iPlayer and, overcome with the usual, appropriate sense of bereavement over Cabin Pressure (which is certainly the best thing that has ever been on the radio ever) headed here to try and see any hints of what you are up to, Mr Finnemore. I will take this Trump gnome as consolation, though I have to say it's a lot more appealing than the real thing! Ok back on track. 11pm Christmas Day BBC Radio 4 Extra ... Abu Dhabi! You are forgiven for such an abomination. A recent repeat of 'Zurich' left me with a big silly grin on my face despite the pain and chronic illness that habitually renders me peevishness incarnate. Looking forward to the new Souvenir Programme. Your writing makes me laugh when little else does. You have a new series of Souvenir Programme starting on Tuesday. You have not mentioned this on your blog. This is a thing that I find surprising.